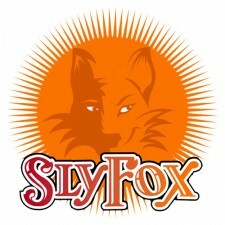 King Of Prussia, PA – Throughout the summer, beer lovers looking for the latest summer beer from local, award-winning craft brewery Sly Fox can visit the four regional locations of The Pub at Wegmans, in Allentown, PA (3900 West Tilghman Street, 610-336-7900), Collegeville, PA (600 Commerce Drive, 484-902-1560), King of Prussia, PA (1 Village Drive, 484-690-3560), and Malvern, PA (50 Foundry Way, 484-913-9660), for an exclusive taste of Tale Chaser IPA, the brewery’s latest collaborative beer with Wegmans. Tale Chaser IPA was created by Sly Fox brewers in collaboration with The Pub bartenders. It has a light hops flavor with a crisp and clean citrus finish. The Tale Chaser IPA is available to enjoy throughout the summer on draught for $4 per pint exclusively at The Pub at Wegmans, as well as to purchase in growlers at any of the four Pubs. The fanciful name was chosen from among the four local Pub locations, who each presented a “Top 10”-style list of reasons that their name was the best. The winner of was The Pub at Wegmans Allentown. 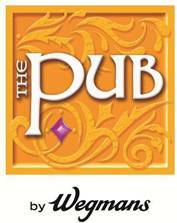 The Pub at Wegmans boasts an inventive menu of American cuisine with a wealth of offerings that include soups, sandwiches, pizzas, salads and entrees and cover a variety of cuisines from ethnic to hearty comfort foods, along with nightly changing dinner specials and seasonal additions. It is a natural extension of the store’s comprehensive prepared foods section, the Market Café, where they offer dine-in or to-go dishes prepared fresh in their on-site kitchen. The Pub takes that commitment to freshness one step further, with table service and ample seating, plus the full bar, where guests can choose dishes cooked-to-order from the wide-ranging menu. To complement the menu, The Pub serves a wide variety of local, domestic and international craft beers, including Tale Chaser IPA, along with a variety of Pennsylvania favorites, such as Yuengling, Stout’s, Victory and a number of other local breweries on draught. They also offer a selection of wines from around the world, available by the glass or bottle, and an exciting list of original cocktails made from premium spirits and mixers and fresh juice. The Pub at Wegmans is nestled within the in-store Market Café and feature a welcoming atmosphere with glowing mahogany and rich colors, where guests are encouraged to relax with family or friends over a pint or a bite. The casual ambience includes a large wrap-around bar and comfortable dining room, spacious enough for parties, business functions and other private events. The Pub at Wegmans is open for lunch and dinner. For more information about the Tale Chaser IPA or any of The Pub’s, please call any the four locations directly, visit www.wegmans.com/thepub and follow them on Twitter (@WegmansPub). Founded by brothers Walter and John Wegman as the Rochester Fruit & Vegetable Company in Rochester, NY in 1916, Wegmans Food Markets, Inc. is now an 81-store supermarket chain with stores in New York, Pennsylvania, New Jersey, Virginia, Maryland, and Massachusetts. FORTUNE magazine ranked Wegmans #1 on their 2005 list of the “100 Best Companies to Work For,” a list they have been on for 16 consecutive years. They are guided by a commitment to the health of their employees and customers.